Two Geelong Falcons youth girls will make their debuts for the VFLW team on Saturday when the high-flying Cats take on the Bombers at GMHBA Stadium. Nina Morrison and Olivia Purcell make it five players who have debuted for the Cats from the Falcons team this year and follow the debut of fellow premiership teammate Zoe Inei last week. 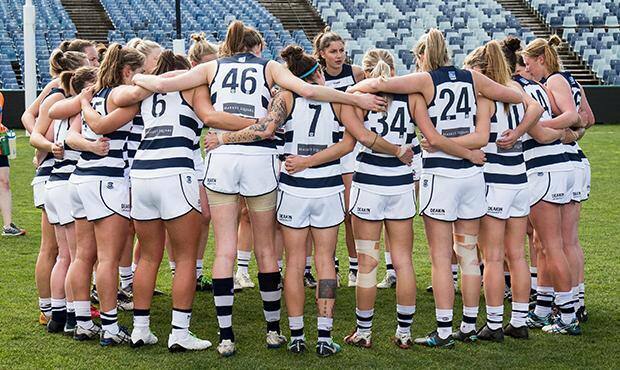 Geelong take on the Bombers this week in a VFLW / VFL double-header at GMHBA Stadium. It will be the Cats final home game of the season and they will enter the match full of confidence having not lost at GMHBA Stadium all season. Gates open at 4pm with the match kicking off at 4.30pm.